According to researchers from the University College Dublin, socialising can reduce symptoms of depression: “Increased social interaction helps sufferers to rebuild their self-esteem which in turn enables them to maintain and develop positive relationships and friendships.” Decreased social interaction produces the counter effect, as it leads to a state of perpetual stress and unhappiness which can prove to be rather detrimental to our health. Making connections with people, on the other hand, can mitigate feelings of loneliness, isolation and anxiety. There’s nothing more comforting than knowing that you can confide in someone you trust when you’re feeling low. Unleashing your deepest worries, angers and fears can prove to be extremely cathartic, and let’s admit it; we all enjoy a good rant every now and again. 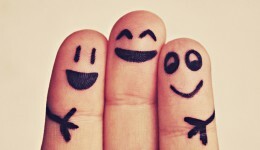 Feeling supported by others can do wonders for our confidence and self-esteem, which allows us to feel happier overall. Now who wouldn’t want that? Studies suggest that socialising can be as effective towards improving the mind as doing a daily crossword puzzle. 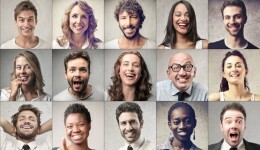 Oscar Ybarra, a psychologist at the U-M Institute for Social Research (ISR), stated: “In our study, socialising was just as effective as more traditional kinds of mental exercise in boosting memory and intellectual performance.” Increased social interaction leads to better cognitive function as it constantly engages and exercises the mind. It has even been said to reduce the risk of Alzheimer’s disease! So, the next time you have an important test or exam to study for, have a quick chinwag beforehand. You may see that you pass with flying colours. Now this is a powerful one. It’s no secret that stress can cause a plethora of illness and disease, but “positive stress” on the other hand can almost prove to be miraculous. According to The Daily Telegraph, socialising can help fight cancer because the “positive stress” that occurs from social interaction can cause tumours to shrink, and even possibly go into remission. How amazing is that? The secret is out. The key to feeling happier and healthier is to talk more and often! So make friends, meet new people, and remember that laughter really is the best form of medicine. 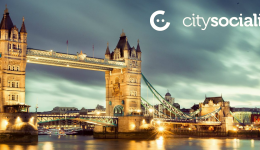 I'm currently enjoying my time here at citysocializer. All aspects of creativity get me going, be it theatre, music, film, literature or fashion. I love it all, and where's a better place to start than London? This is an article that gives another perspective on human interactions and why we do it.